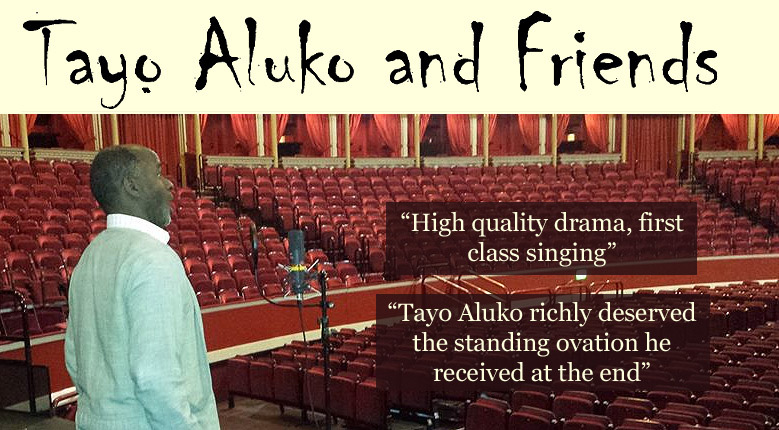 Tayo Aluko and Friends – Promoting Black History, Activism and Renaissance through the Performing Arts, from an Internationalist Standpoint. Nigerian-born Tayo Aluko is an actor, singer and playwright, based in Liverpool, UK, where he worked previously as an architect. His multi-award-winning play, CALL MR. ROBESON has been performed as far North as within the Arctic Circle and as far South as New Zealand, with a performance at New York’s Carnegie Hall in February 2012. His newer play, JUST AN ORDINARY LAWYER was premiered in August 2016 and has already been performed in five countries. His art is dedicated to encouraging and inspiring progressive activism by showing how Black History is everybody’s history.